Suppose you needed the best paper stationery. Suppose you took that order to the best manufacturer in the country. And suppose you were that firm’s oldest and largest client. What would you expect from that manufacturer? A product of the highest quality, surely. A fair price. A level of service appropriate to your importance as an old and valued client. Now suppose there were a firm that could offer all that and more. And suppose you discovered only one difference between the new firm and the other. You need be neither old nor large to be its valued client. Introducing Pixel 2 Print. 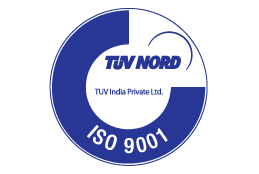 India’s first and only ISO 9001:2008, ISO 14001:2004, OHSAS 18001:2007 and FSC CoC certified manufacturing facility. A firm manufacturing notebooks equaled in quality only by the world’s finest. With speed, flexibility and a level of service unequaled by any firm anywhere. At Pixel 2 Print, we manufacture high quality stationery & offer the entire spectrum of services you would expect from a world-class converting firm, from creative assistance & production setup to finishing & shipping. Unlike many other leading convertors that outsource some or all critical process, we offer all of those services expertly executed in-house under one roof. Because we have built our operations around the most advanced & dependable technology, we consistently achieve not only the best product but considerable efficiencies as well. We translate these efficiencies into an unprecedented level of service, greater flexibility & shorter delivery times. In other words, you finally get the product you want not having to settle for the one you can afford. Truth be told, its our obsession. Evidence of which is our policy of leveraging any financial advantage that might accrue from our efficiencies to provide a significantly higher level of service. We will be your proactive partner working with you throughout the entire process, the source of smart ideas that can make the difference between a product that is merely good & one that is great. Pixel 2 Print is dedicated towards protecting the environment for the future generations. We take utmost care not to harm the Earth we live in. 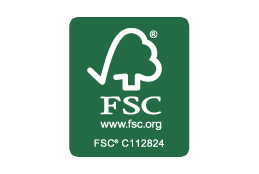 We use Elemental Chlorine Free, Wood free paper to the most and even our Wood based paper are mostly FSC CoC certified. We check our processes regularly for any harmful chemical and immediately replace them with gentler ones. Pixel 2 Print is a company founded on a set of strong beliefs. 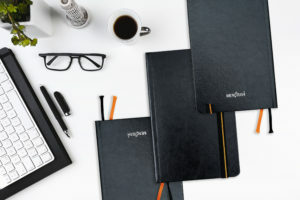 If you are in the process of choosing a notebook supplier, it might be helpful to know some of them. We believe that the printer is engaged in a noble profession, one with a 500-year tradition. For what could be nobler than to enable information to be disseminated and truths to be shared? Or to promote learning, commerce, entertainment and understanding? We believe that the client is entitled to a higher level of service than is common in this age. We intend to provide that level of service to clients both large and small. Neither the size of the client nor the size of the order will determine priority at Pixel 2 Print. We value relationships with our clients above transitory gain and are determined to go to extraordinary lengths to maintain good relations with them. We believe in adhering to the highest ethical standards in all of our affairs and operations. If we cannot be true to our principles, we will not continue as a company. Our ISO 9001:2008 certification is a witness to our dedication to quality in everything we do. We believe in treating our employees as partners. Therefore, we pay wages that are considerably higher than others in our industry and are, indeed, among the highest in the country; we provide healthcare and other benefits; we offer training and the opportunity for advancement; and we ensure a safe, healthy and supportive working environment for all. Finally, we believe in the responsible stewardship of our planet. We have invested heavily in environmentally friendly equipment and processes to make certain that we do not pollute. We strongly endorse the use of wood free paper and we employ the best of breed solid waste disposal systems. All to ensure that no process or practice of ours contributes to pollution. Our ISO 14001:2004, OHSAS 18001:2007 and FSC CoC certifications are testament to this commitment. If Pixel 2 Print sounds like a company with whom you might like to do business, why not talk to us?